I was born as Samuel Coomans on the 3rd of August 1973. I like to introduce myself as a record collector of Beatles singles and EP’s. I mainly collect the first pressings from the 60’s and early 70’s. But my knowledge and interest in music goes much further than only collecting. 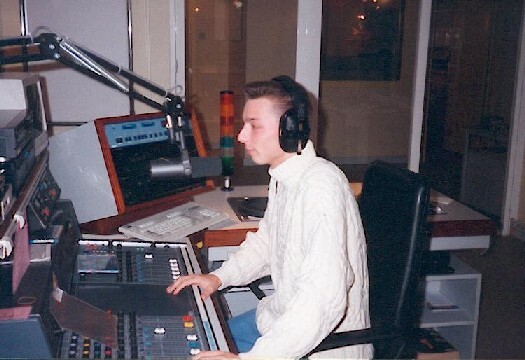 When I was 14 years old I started a radio career on Radio Goldstar in Veerle-Laakdal and Radio Noordzee in Tessenderlo, both in Belgium. After I had built up some experience, I could start a program on the, at that time, professional radio station Flash. 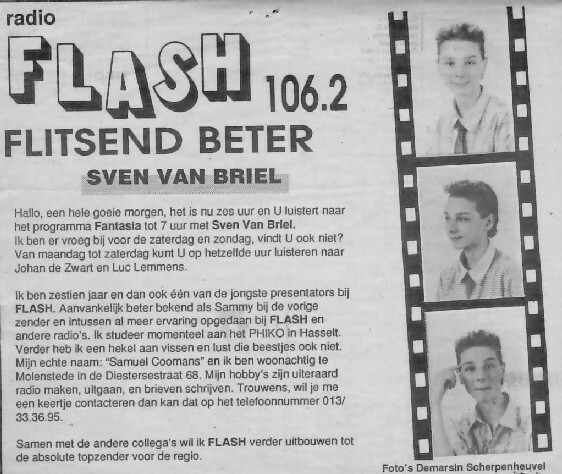 My DJ name was Sven van Briel but this was changed to my real name after a couple of years. Here you can view a newspaper article about my radio program, of course in the Flemish language. 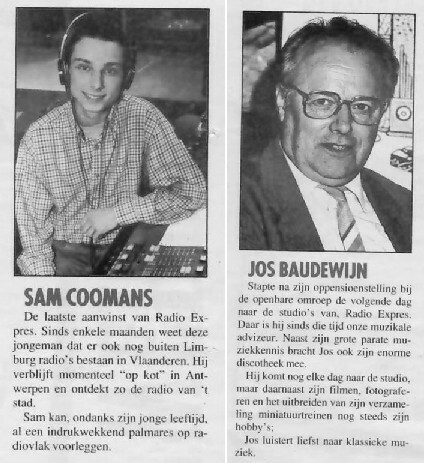 At this radio station I did a lot of things, not only presenting a radio program but also interviews with a lot of famous artists and we made a series of summer shows together with Willy Somers and Johnny White. At that time I studied architectural design in Hasselt where one of the most famous commercial radio stations, Hit FM, offered me a popular program called "de pretvallei" on Saturday afternoon. Then I ended my job at Radio Flash. Here you can view a photograph of myself in the studio of Hit FM. 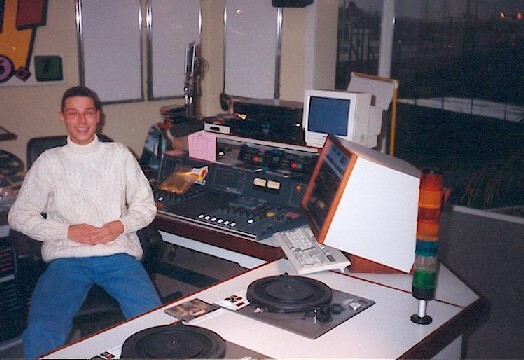 In this period I recorded many programs at the "Fish production studio's" for other radio stations in Belgium. But I still had to go to school and after I finished my secondary studies for architectural design I decided to study psychology at the KVH in Antwerp. Therefore I had to end my job at Hit FM because Hasselt was too far from Antwerp and I had a little apartment in Antwerp. Not long after I moved to Antwerp I made contact with Marc D'Hollander from radio Express. This was a radio station managed by the magazine "TV Ekspres" and the journal "Gazet van Antwerpen". It was here that I met Jos Baudewijn who was a famous radio broadcaster for the national radio station BRTN. Jos was already retired but during his career he had one of Belgium’s biggest record collections. More than 30.000 records were archived at the studio's of Express in the well-known sky-scraper "boerentoren" in Antwerp. It was thanks to him that I started collecting records. Here you can view a newspaper article about myself and Jos. After a couple of years this station disappeared and the frequency went to radio Nostalgie and after a while to radio Contact who started a new family station in Antwerp. Meanwhile, the name changed to contact2. This story gives a good impression of how difficult it is to make good radio programs. Of course I did not stop at all. In the mean time I went back to one of the stations in the area where I lived before, nearby Molenstede-Diest, in Beringen. This station was called Benelux. Here we made our best program "Het Zevende Rijk". Therefore I would like to thank Guido Haesevoets who composed and wrote the text for this radio program. Guido is someone who likes to learn everything about music, every style, every period except classical music (I guess). He had a large library with information from the past till now. We decided to make a program on seventies music. This radio program was broadcast for more than 100 weeks and every time we chose different music from the seventies. We never played a song twice. This is where I learned very much about artists, music styles and songs. 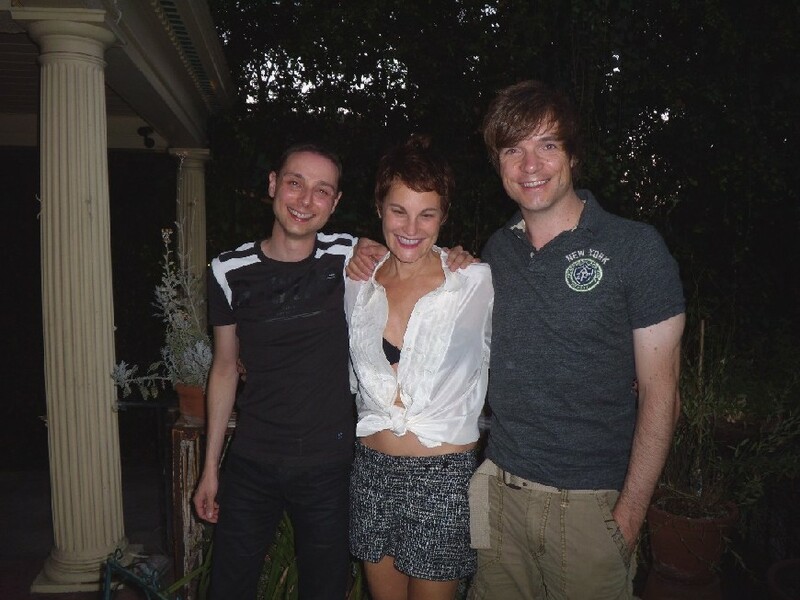 These are some photographs of myself and the composer Guido Haesevoets. In this period I also met my friend Tim. We have now been together since 1995 and live in a house near Antwerp. In 1998 we met Azing Moltmaker (NL) at the record fair in Utrecht. I told him about my website and my plan to build the ultimate discography for Beatles records. Azing had a lot of experience in writing and publishing books (he wrote more than 30 books about the Beatles). My plan became our project and thanks to Azing my dream became reality. At that moment I stopped my career as a radio DJ. And you may know that I still miss it a lot, but working on the Beatles books and doing research on their records, takes up too much time. Together with Azing Moltmaker, I'm working on this big project of Beatles discographies. We will release a series of books with all the Beatles discographies for singles (7"), EP's and LP's, all illustrated with picture sleeves and labels. More information about our books, you'll find on the first page of this website. You can also buy our books by clicking here. 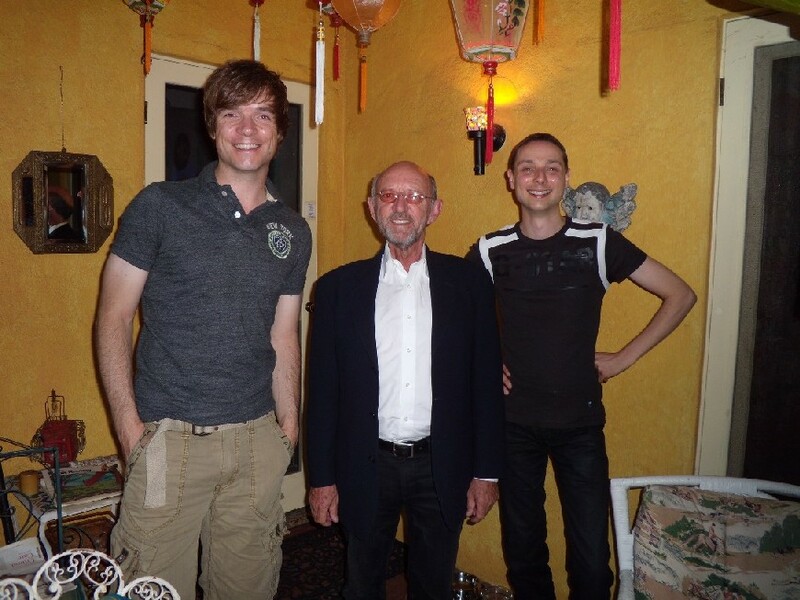 That's me on the right, Jack Oliver (president of Apple records) in the middle and my friend Tim on the left. That's me on the left, LM Pagano in the middle and my friend Tim on the right. 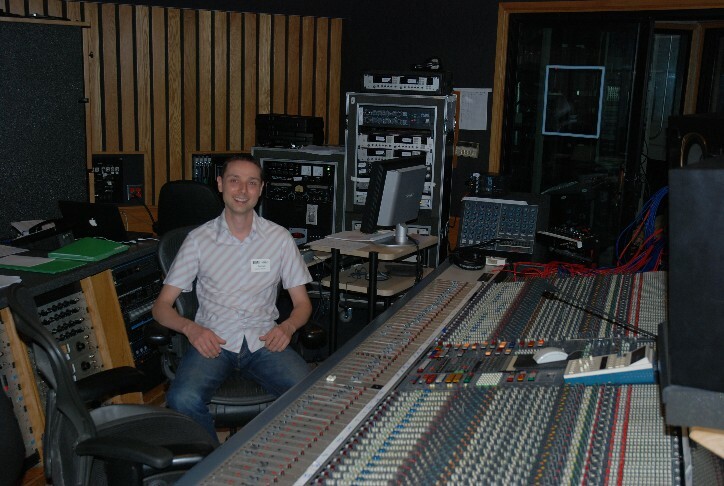 Me in the Capitol studio's in Hollywood. 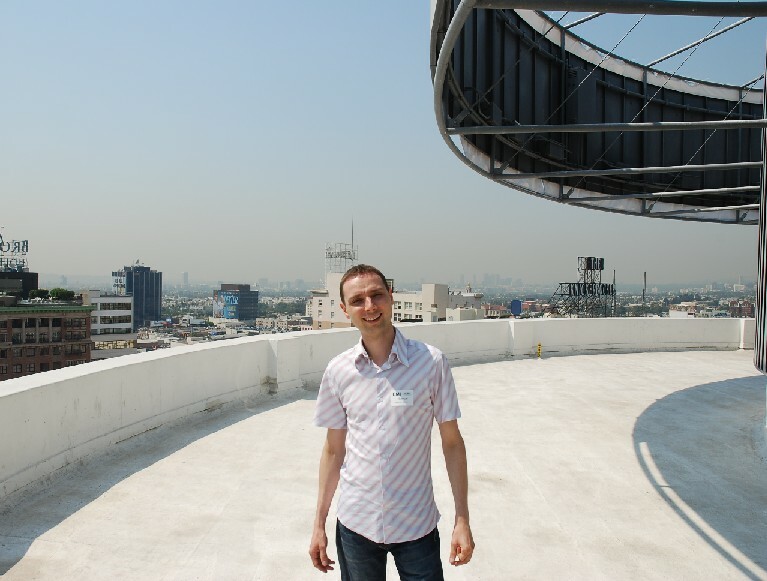 Me on the roof of the Capitol building in Hollywood. 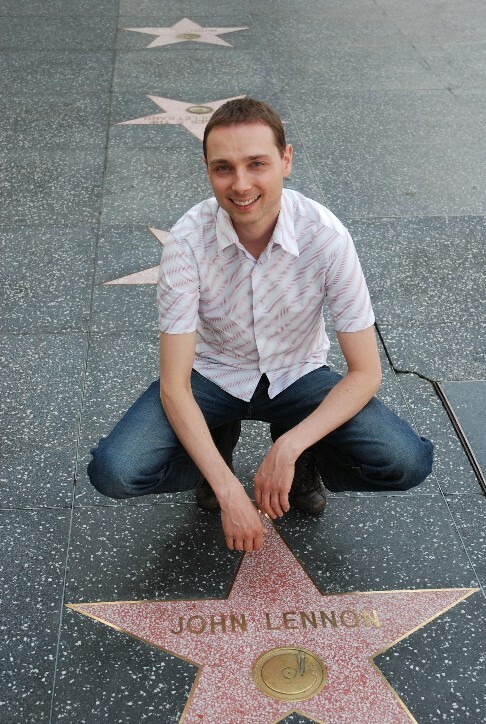 Me at the walk of fame and the star of John Lennon.